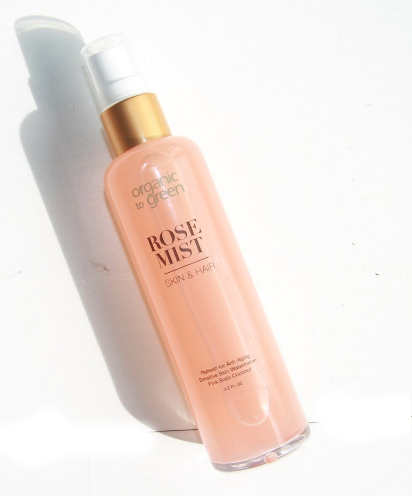 Organic to Green Rose Mist Spray Face & Hair - Watermelon, Pink Salts, Coconut, $24 We love this organic, small-batch-crafted, multi-purpose mist. Containing pink salt, coconut and watermelon for added nutrients and hydration, it's perfect for toning a cleansed face or using as a hydrating mist over makeup throughout the day. The scent is a heavenly blend of rose and watermelon that you will want to keep on hand at all times.